farming equipment, livestock feed, fertilizer and dairy production. 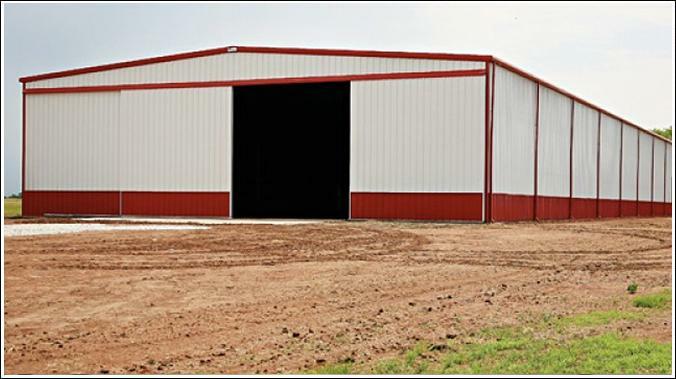 Metal buildings used for agricultural purposes are ideal as they can span over 300’ long with incredible strength. The agricultural building is supported by rigid framing and steel support components and can be sized to varying widths. The clear span building has an advantage over traditional buildings with the ability to store more hay, crops, grain, commodities, and facilitate livestock barns and farm equipment. Steel buildings are superior to traditional wood barns and at a lower cost. Other advantages include durability, and the ability to withstand severe weather conditions such as heavy snow loads. The space inside is also 100% usable with no rafters, or beams. Choose the gauge steel you want for your exterior walls and roof. Commonly 24 - 26 gauge steel is used. With an easy to erect design, all you need to do is bolt the pre-engineered building system together on top of a solid cement foundation. Special crews are used for larger agriculture buildings with equipment such as cranes and scaffolding. Our experienced customer service representatives are always here to assist you with your metal building project. We will help you custom design, plan and price out your agriculture metal building based on your county’s building codes, and the functional purpose of the structure’s interior. We also may be able to help you with equipment vendors who specialize in agriculture infrastructures and operations. We provide our customers with comprehensive turnkey solutions from building plans, permits, land surveys, foundations, erecting your metal building, construction and interior planning. 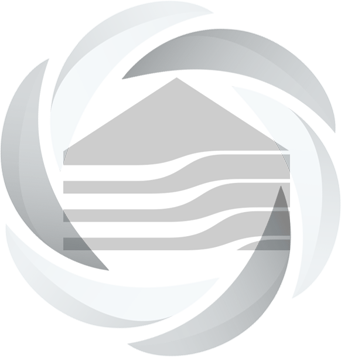 At Hurricane Steel Buildings® we do more than just sell the best quality metal building kits, we make sure your entire process goes smoothly so that you are happy with your purchase and experience with us. Customize your agriculture building with overhead roll-up doors, walk through doors, insulation, ventilation systems and windows. You can even customize your building by adding stone, or bricks to the exterior or as an added section to th building. Our agriculture customers often use manual slide doors for livestock because of the quiet operation. Make sure you choose the insulated doors and panels. Your Hurricane Steel Buildings® barn is manufactured with state of the art high quality silicone-protected polyester coil coating paint system to help prevent rust and comes with an industry best 40 year rust-through perforation warranty and a 40 year warranty against peeling paint, flaking an loss of adhesion. Talk to our customer service department for any questions you have or start a consultation about your new agriculture building project.